THE ONLY DEDICATED CAMPING, GLAMPING & CARAVAN PARK FOR VISITORS AND PERFORMERS FOR THE EDINBURGH FESTIVALS & FRINGE..
" These guys are just brilliant..."
" A great place to stay at a price you can afford..."
" The friendliest of welcomes - would definitely go back again..."
" Facilities excellent, breakfast great, site clean and tidy, showers hot etc. ..."
Welcome to Edinburgh Festival Camping! The only designated campsite for visitors & performers of the Edinburgh Festival and Fringe. We offer affordable accommodation & great facilities with a friendly atmosphere. Bring your own tent, stay in our Pre-Pitched Tents or Bell Tents, or bring your Caravan, Campervan or Motorhome (now with the option of electric hook up). Join us on our opening day and get 50% OFF Pre-Pitched & Bell Tent Hire! Valid for stays on Thursday 1st August 2019. Book now! Limited time only, subject to availability. Bring your own tent and anything else you need at no extra cost - gazebos, more tents, the kitchen sink.... up to you. Just pay per person. Meadow Pitches are available for caravans, campervans, motorhomes, or trailer tents as well as tent pitching with parking. You can bring Pup tents or Awnings/Gazebos as long as everything you bring fits within your 8x8 metre pitch. We have a limited number of electric hook up pitches in The Meadow which are available for caravans, campervans, motorhomes, or trailer tents as well as tent pitching with parking. You can bring Pup tents or Awnings/Gazebos as long as everything you bring fits within your 8x8 metre pitch. Our Bell tents are a fresh alternative to camping for up to six people per tent. Including inflatable mattresses, linen (sheets, 13.5 tog duvets, pillows and blankets). Experience all of the joys of camping, real linen and none of the hassle! Fairy lighting and camping chairs also included. WHO IS THE EDINBURGH FESTIVAL CAMPSITE FOR? EVERYONE who is a visitor to Edinburgh during August is welcome at Edinburgh Festival Camping…. This includes those visiting, performing or working at any of the shows in Edinburgh: The Fringe, The International Festival, The Royal Military Tattoo, The Book Festival, The Art Festival or The Mela. And, of course, if you happen to be visiting, passing through or working in Edinburgh this August too. We even do a pretty good job of being an Airport Hotel! "The Camping Ninja crew really friendly and helpful, nothing too much trouble. Breakfast great, site clean and tidy, showers hot etc. basically everything you want... and more. Cannot rate these guys highly enough, would definitely go back again and recommend them to everyone." The best value accommodation in Edinburgh... Book now to benefit from the best prices! Bring your icepack to one of our freezers in The Meadow or Countryside Area for re-freezing. For snacks and drinks and a few essentials you may have forgotten... otherwise there is a Co-op a 15 minute walk away. We offer free wifi in some of the communal areas for you to check emails, book tickets to shows or for transport information etc. Set in out Giant Nordic Tipis we are open from 730am til late serving great coffee, snacks and cold drinks, as well as being a bar from the afternoon onwards serving beers, wine etc. We serve a reasonably priced breakfast from 730am. After that there are snacks, pot noodles and hot paninis on offer throughout the day and evening. Free car park just outside the main gate for everyone in The Countryside area in BYO Tents, Pre-pitched and Bell Tents. Parking on your pitch for 1 vehicle in The Meadow area. In 2018 we're going to provide more than ever before with plenty of hot and cold water for all your dishwashing needs!! A space with mirrors for you to plug in your own hairdryer / straighteners etc and sort your do out! For cyclists ee have some good spaces for locking bikes up to secure railings under cover. Play the guitar, read some reviews, write some reviews and have a chat sat on our benches in our extra hangout space.  Public transport information, Fringe Programmes, Festival flyers, Nearest amenities and a whole host of other info you may need.